Junior Sean Khoth captures Soda & Swine's infamous Root Beer float. Are you searching for a romantic atmosphere and amazing food? Look no further, a Soda and Swine is about 2 miles away from City Heights sitting on the corner of 30thst and Adams Ave at 2943 Adams Ave! Believe me, going out for the night and eating here will not be a disappointment. There are a variety of different, yet unique dishes and root beer floats to enjoy, hence the name, “Soda and Swine”. 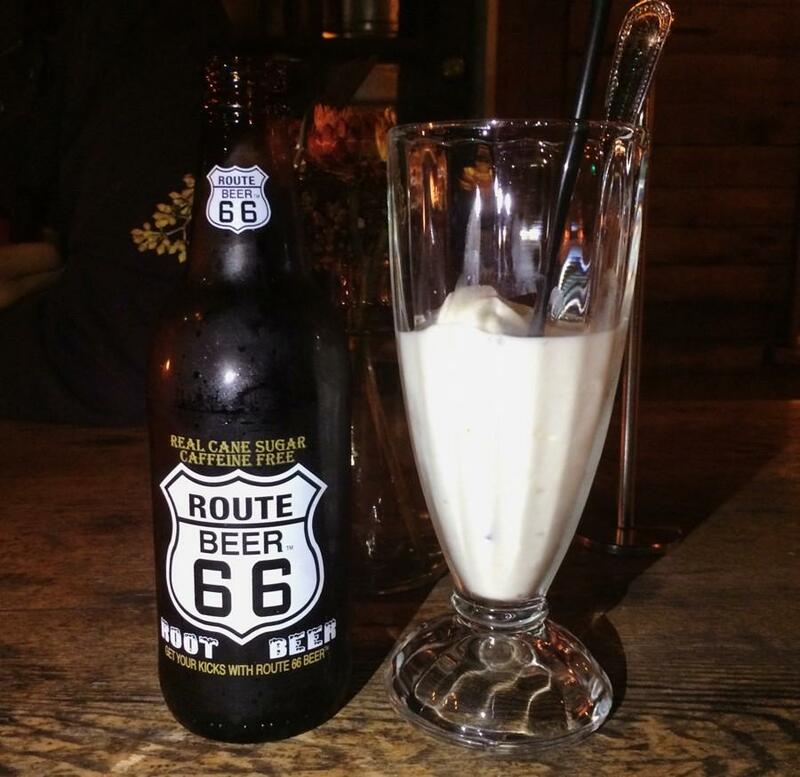 You will also have a selection of different flavors and types of sodas that can be turned into root beer floats too. As for the meal, the menu is quite simple. With each dish being amazing and loveable. For example, one favorite (as well as mine), are Dirty Fries. For about eight dollars, you can indulge into a large plate of fries, mushroom gravy, your choice of meat, and fresh veggies. This dish in particular, hooked me into this divine place. In addition, Soda and Swine offers meat based dishes that go along with your choice of cheese and sauce, tasty hamburgers, spaghetti, and many other side dishes. Soda and Swine’s mouth-watering food will leave you wanting more. Aside from food, one of Soda and Swine’s prime locations is on Adams Avenue. As you’re walking in, you get the instant feel of a vintage and homey place. It is very warm and the air is filled with joy and conversation. There are two sides to this building; the bar area and the eating area. The delicious food can be enjoyed on whichever side you please. In addition to the vintage and homey feel, the vibe of the restaurant radiates a very romantic mood. It is very dim and all tables are lit by candles accompanied by flowers. If you happen to be in need of a romantic night out with your significant other and are trying to avoid spending too much money, I highly recommend setting your sights on Soda and Swine. Just recently, S&S opened up another location in Liberty Station at 2750 Dewey Road, San Diego, CA 92116. This location is open Sunday through Thursday 11:30 am – 11:00 pm and Friday through Saturday from 11:30 am – Midnight. The location on Adams Avenue is open from 11:30 – 1:30 seven days a week. If you’re looking for a late night snack, you should know which location to head to. Overall, Soda and Swine is the perfect place for a late night snack or a romantic dinner date. I highly recommend that everybody head over to one of the locations and enjoy the amazing selection of fine dishes!